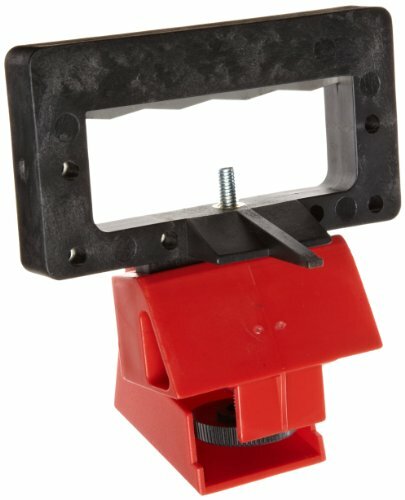 Brady 65321 Oversized Breaker Lockouts For use on 480/600v breaker switches up to 2.25" wide (6 pack) Oversized breaker lockout is the perfect device for 480/600V switches up to 2 1/4" wide and 7/8" thick. Made of durable polypropylene and glass filled impact-modified nylon. Applies in seconds with thumbscrew mechanism so no screwdriver is needed. And, our new blade design with improved grip works on even more breaker models!